This entry was posted in Bees, Flowers, Gardens, Insects, Nature, Wildlife and tagged gardening, herbs, plants, wild flowers, wildflower. Bookmark the permalink. We have tons of bees in the evergreen bushes and we are happy to see them! Bees are beloved creatures at our homestead. 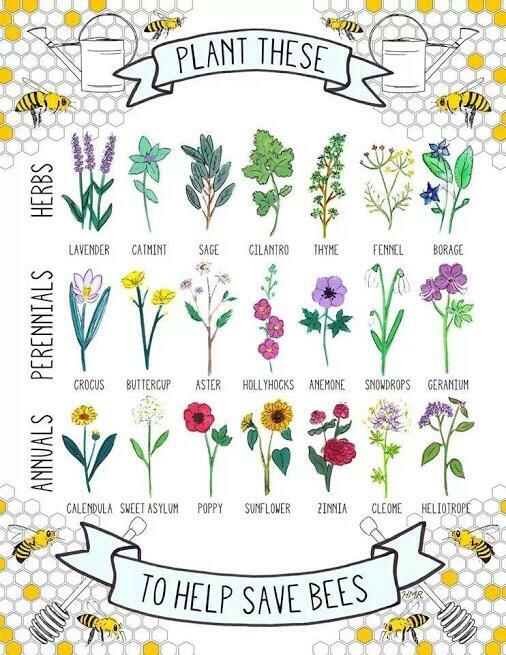 Many thanks for posting the graphic as a reminder of what to plant to keep the bees happy! Absolutely, we have to do everything we can to get the bee population to thrive again.